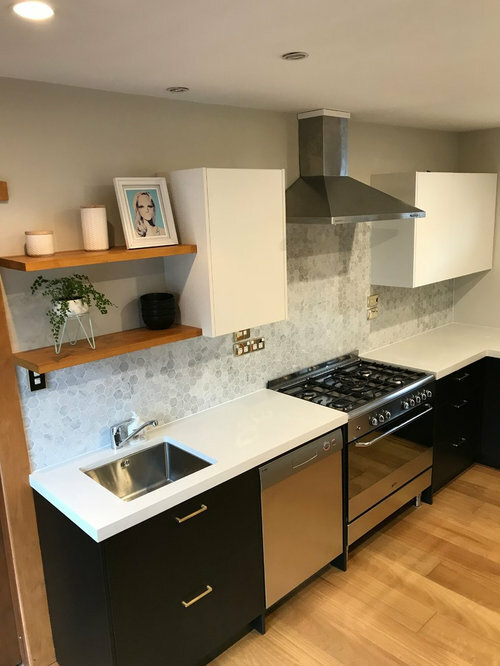 It was wonderful to watch this young couple's kitchen transform into a sleek and stylish space using the timeless combination of black, white and wood. 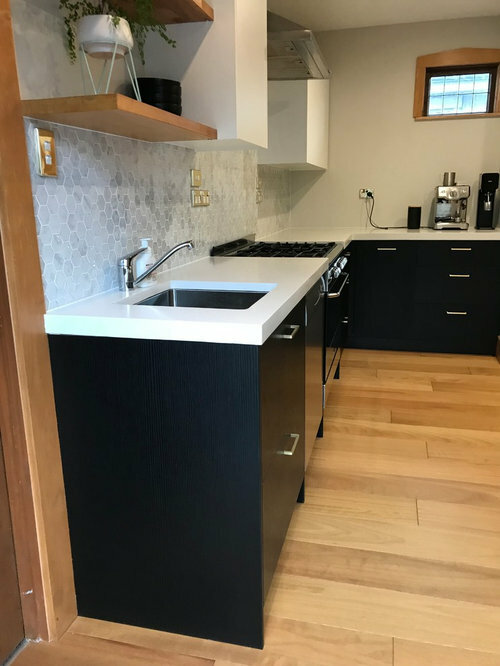 This was a real team effort as our clever customers made their own concrete benchtop and did the amazing job of tiling the splashback themselves! 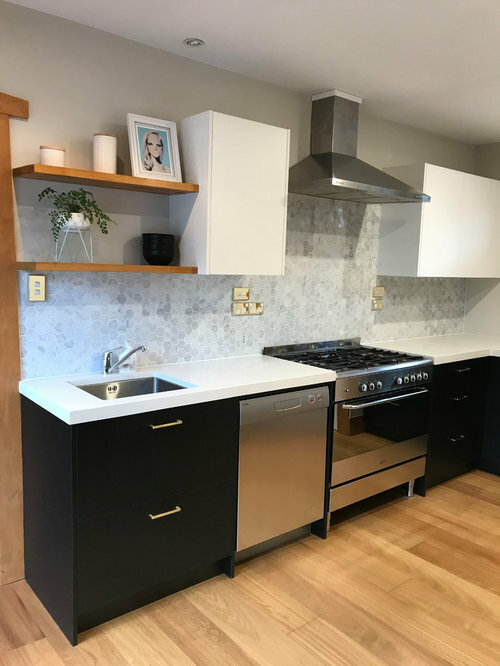 Our customers chose black and white cabinetry for their kitchen renovation in their character home. 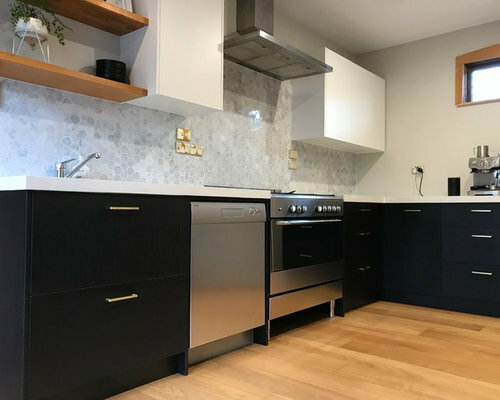 This was teamed with a white concrete benchtop and the gorgeous wooden floors. Wooden floating shelves provide a nice link to the flooring and wooden door and window frames. 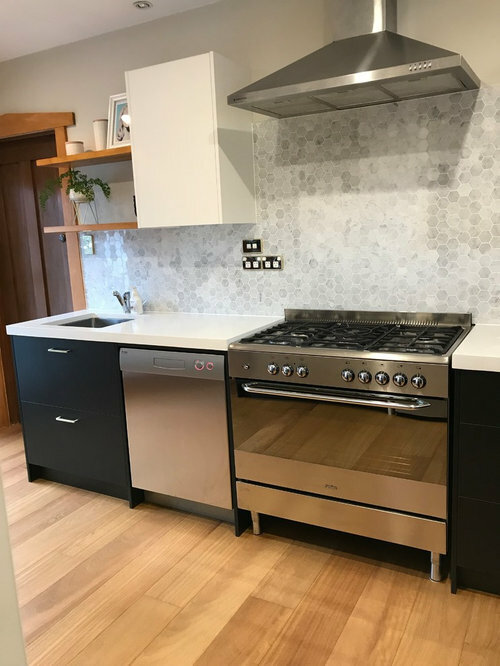 We worked this kitchen design around retaining the original position of the existing oven and rangehood. 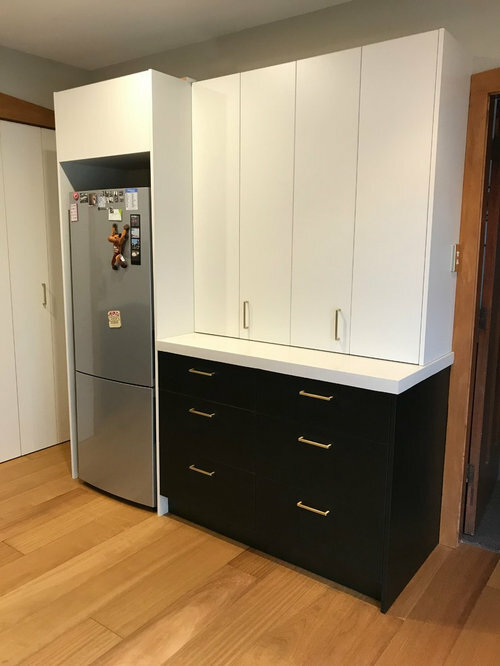 A white bench pantry sits on black base cabinetry. Our customers chose brass handles to match with other fittings in their character home. 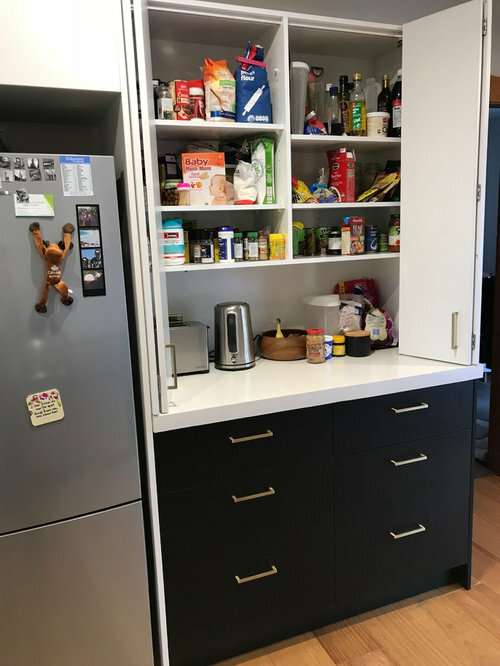 The on-bench pantry gives great storage and provides an area for often-used appliances. 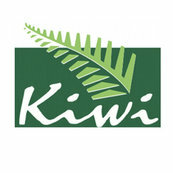 You can't beat black, white and wood for a timeless look.